Travel Daily News International embraced us with a presentation of HotelTect , check the full article here http://www.traveldailynews.com/post/hoteltect and share the news! 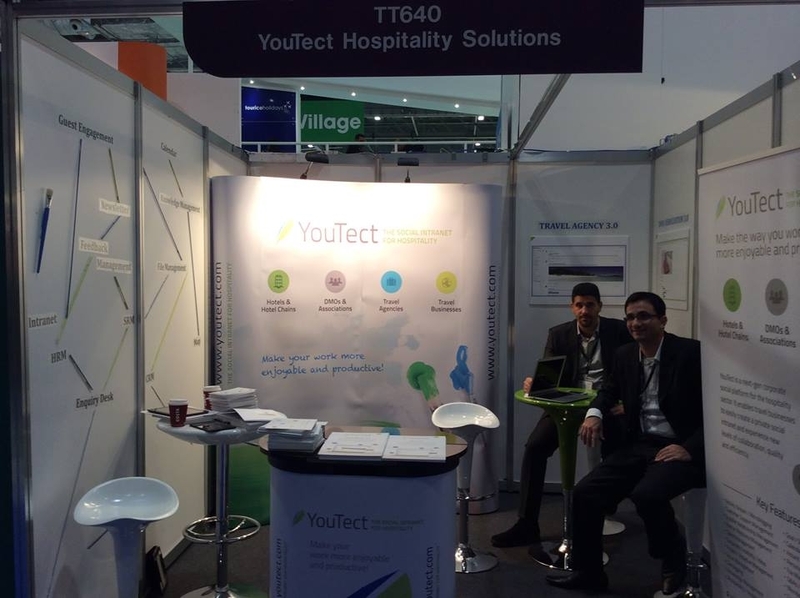 Exclusive Solution for Hoteliers is now available! 10.000 hotels in Greece ..
A few tips before going live! Send a newsletter frequently (weekly, fortnight or monthly) and inform members about all the important posts on the platform. This function is available only to the Administrator of the Community. Corporate information is critical but engagement also asks for playfulness. You may wish to establish a “Featured Member Area” where every month you can share some information about a selected member. You may wish to have some polls from time to time or share praises for member achievements. Also, it would be good to share useful resources (articles, videos) that would contribute to the Personal Development of members. Publish news and information that would be of interest to all members. Such information could include Key Performance Indicators (e.g. Customer Satisfaction Surveys) and Benchmarking Reports (e.g. Top 3 Sales Offices). How you present this information makes a difference, as in the end of the day you want to inspire and motivate the team towards better results. So, be creative and inspiring! Make sure that you include a Service Desk function. For example, the Service Desk can include functions such as a support request addressed to the HR department, the Accounting/Finance Department or the IT department. Members should feel that the platform is the place where they can seek quick and direct support/help. Communication that previously took place with the use of email can now be logged in the platform in a more structured way. You may wish to establish some incentives or rewards to motivate members to publish useful content. For example, you could launch an internal contest where members can suggest ideas for improvements (the best idea receives a reward). The goal is not to have many posts and much traffic on the platform but to use the platform as the medium to increase innovation and performance. The role of the Community Manager in making the community a successful practice is very important. The community manager needs to act as a facilitator who educates the users on how to benefit from the platform and be responsive to any requests for technical help. Establish a Community Content Management Group. This group should include a representative from each department who will serve as the owner/facilitator for the departmental content and will be suggesting ideas for adding useful functions in the platform. The platform is not to be seen solely as an IT initiative. Use a phased approach and keep introducing new functions gradually so that members don’t get overwhelmed. You may use the newsletter when introducing new functions. 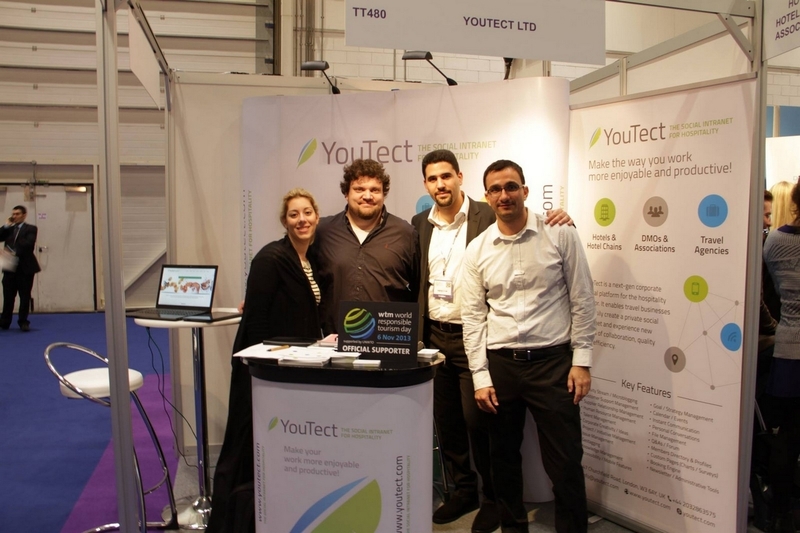 YouTect demonstrated from stand TT480 its innovative solutions at the WTM 2013 Travel Tech Show in London.